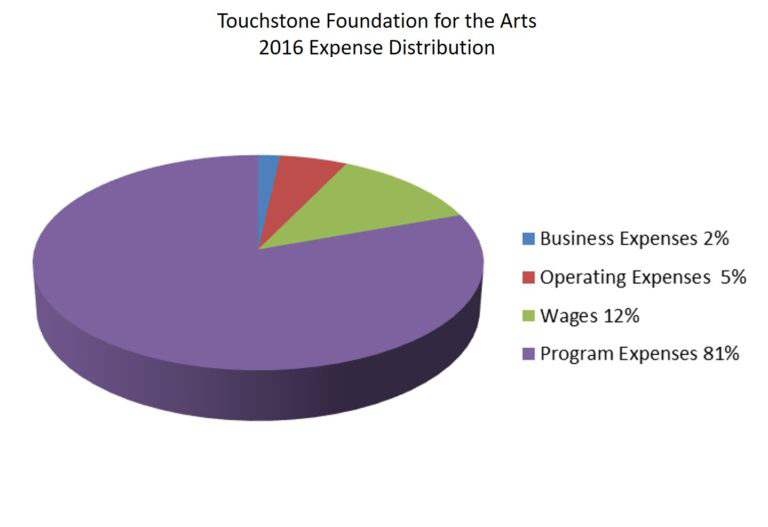 The Touchstone Foundation for the Arts (TFA) is a nonprofit tax-exempt 501(c)(3) organization created by the artists of Touchstone Gallery in Washington, DC. The mission of TFA is to expand the reach of Touchstone Gallery and its artists into our community. TFA’s flagship project is the Touchstone Foundation Fellowship for Emerging Artists. The fellowship is open to Washington area artists who have not been professionally represented. It is designed to help these artists develop and grow through a two-year full membership in the Touchstone Gallery. The fellowship includes the opportunity to exhibit in monthly gallery member shows, representation on the gallery website and related marketing materials, and mentoring by established artists. The fellowship culminates with a month-long solo show. Two emerging artist new fellows were selected in 2016 and additional fellow was selected in June 2017. In 2014, TFA received our first grant from the District of Columbia for a project entitled Touchstone@Artspace. Partnering with New Community ArtSpaceDC, which serves the Shaw community with art programs, workshops, seminars and exhibitions, TFA created a series of workshops for children and parents taught by Touchstone artists on subjects including ceramics, mono-printing and collaging with found objects. Following this model with alternative support and fewer workshops, the 2015 program added calligraphy. Both years featured a month-long exhibition of student work at Touchstone Gallery called “I Belong Here”. In 2016, TFA received again its second grant from DC Commission on the Arts and Humanities (CAH) to support our 3rd year workshop programming at New Community ArtSpaceDC. In 2017, TFA plans to continue supporting the development of emerging artists; the melding of artists from Touchstone Gallery with Shaw community organizations; and offering exhibition opportunities in Touchstone Gallery for the non-traditional artists that they serve.